The recent interest in marijuana as an investment idea is garnering more than just a little buzz from the investment community and beyond. As the regulatory landscape around marijuana continues to evolve in the US and here in Canada the conversation has also begun to change. The concerns, it appears, have been shifting away from whether or not it is acceptable to use, and towards understanding circumstances for appropriate use and how best to structure as well as regulate the cultivation, processing, distribution and (of course) taxation. 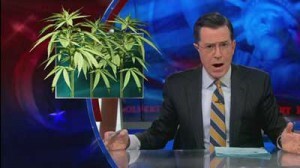 While some of the conversation on the wave of ‘ganjapreneurs’ is tongue-in-cheek (see Stephen Colbert’s recent view on the matter here), the Canadian conversation is currently focused on how marijuana for medicinal purposes can be made more widely available. The following piece by Proactive Investors, provides some background to the recent interest in medical marijuana stocks here in Canada. It highlights two CSE-listed companies, Enertopia (CSE:TOP) as well as Abattis Bioceuticals (CSE:ATT) as emerging players in this space. Another recent addition to the CSE listed company roster – Next Gen Metals (CSE:N) – has also identified itself as a participant in the hemp and medical marijuana space having recently created a division to address this market opportunity. Southbridge Resources (CSE:SOU), a CSE listed company, also recently announced that they are making possible inroads into the sector with the potential acquisition of Vodis Innovative Pharmaceuticals Inc. Without question, the road ahead on marijuana as investment appears to be paved with uncertainties. Nevertheless, entrepreneurs and investors are already at work trying to find where and when ‘budding’ opportunities in the ‘pot-com’ industry are going to present themselves next. For further context, read the full article on the topic at Proactive Investors.